Sasha Pastujov’s spent a lot of time at Yost the last few seasons. Soon, he’s going to be visiting Ann Arbor for Big Ten away games. 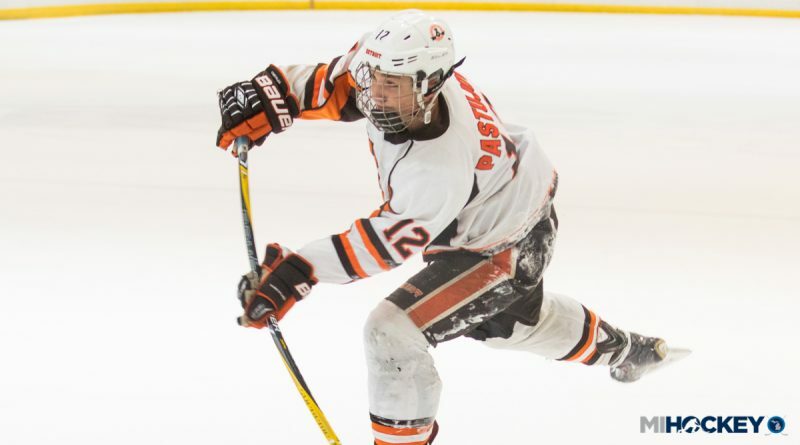 The Northville native and ’03 birth-year forward has announced his commitment to Notre Dame. Pastujov, who just won a national title with Compuware 14U, is the younger brother of Wolverines teammates Nick and Michael Pastujov. The family is from Bradenton, Fla., but Nick and Michael moved to Michigan during their youth hockey days, and Sasha soon followed. Pastujov has been one of the leaders on a ’03 team coached by Ryan Barnes that has won multiple state titles and now a national title – the first time the boys were of age to compete for a USA Hockey national crown.